Is there any paperwork or document for the mechanical systems of 7055 Concession 3 Rd, Adjala Tosorontio, Ontario? I need more information about the property at 7055 Concession 3 Rd, Adjala Tosorontio, Ontario. How ist the neighborhood, location and nearby amenities for 7055 Concession 3 Rd, Adjala Tosorontio, Ontario? I have questions about the roof, foundation, insulations and mechanical issues of 7055 Concession 3 Rd, Adjala Tosorontio, Ontario? I need more information about property details. What's wrong with this house? Is this a short sale? Is there any maintenance for 7055 Concession 3 Rd, Adjala Tosorontio, Ontario? What is this property worth in today's market? What are "closing costs", and how much? What steps should I take when looking for a home loan? What price home can I afford? Is my credit good enough to buy this house? What are the best mortgage options for me? How flexible is the seller on the asking price? 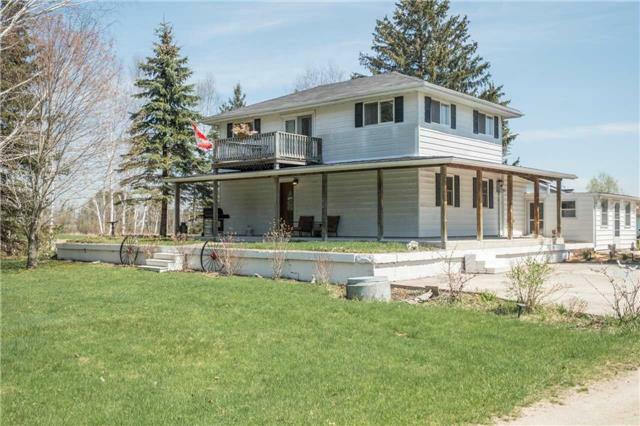 How low can I consider offering for 7055 Concession 3 Rd, Adjala Tosorontio, Ontario? Come Home To This Charming Homestead Situated On 38 Acres Of Private Land Offering Spectacular Views And Ample Privacy. Spend Tranquil Days By The Pond And Stream Or Around The Fire Pit Before Heading Into The 2-Storey Farmhouse To Enjoy The Custom Kitchen, Fireplace Warmed Living Room And The 3 Bedrooms. Complimented By A Heated Workshop And Shed, While Just 10 Minutes From The Local Country Club. See It Today!